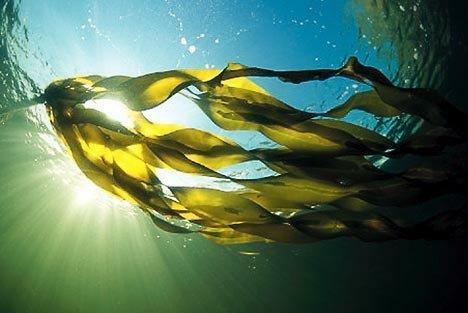 The Gulf of Maine is home to some of the world’s most beautiful and versatile seaweeds, also known as sea vegetables, ocean herbs, or marine macroalgae. We discuss what's fueling the increasing demand for this latest superfood; it's turning up in some surprising places - from sophisticated restaurants to craft breweries. We learn the basics of foraging for seaweeds for use in home cooking, as well as efforts to develop a market for sustainably farmed seaweeds. This show was originally broadcast on October 12, 2017. Gabriela Bradt - Commercial Fisheries Specialist with the UNH Cooperative Extension and the N.H. Sea Grant. Michael Chambers - Aquaculture Specialist with the UNH Cooperative Extension and the N.H. Sea Grant. Matt Gallagher - Head Brewer at Portsmouth Brewery - he created "Selkie" beer using sugar kelp in conjunction with the UNH Aquaculture program. Evan Hennessey - Owner and chef at Stages at One Washington restaurant in Dover, where he regularly forages for wild edibles. 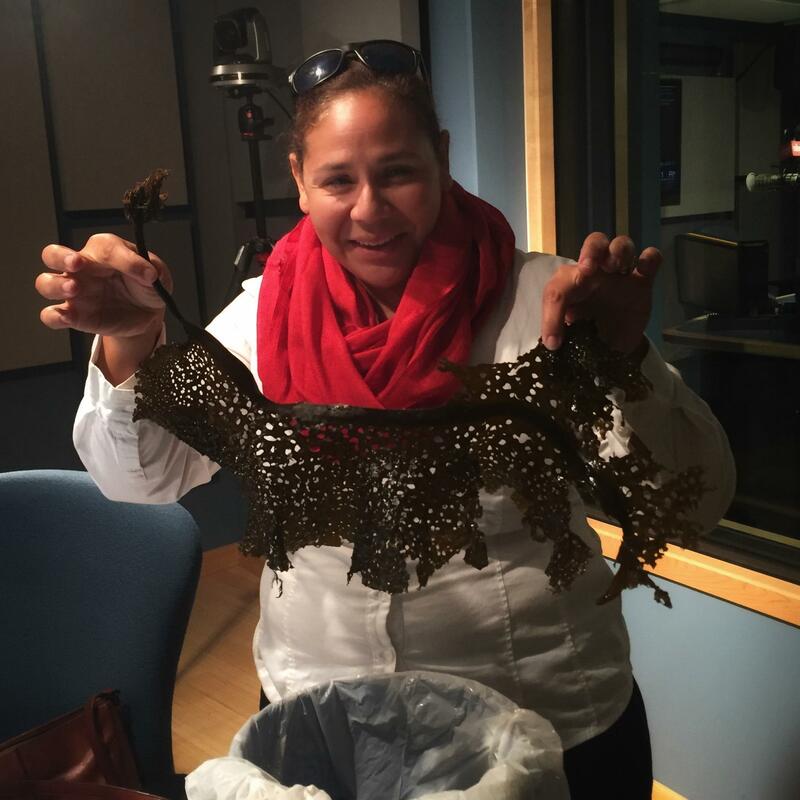 "I look at this blue planet that's 70 percent ocean ... and to me it's a big blue pasture"
Gabriela Bradt shows some shotgun kelp. This article will help with the basics of nori, konbu. wakame, and dulse - recipes, too! 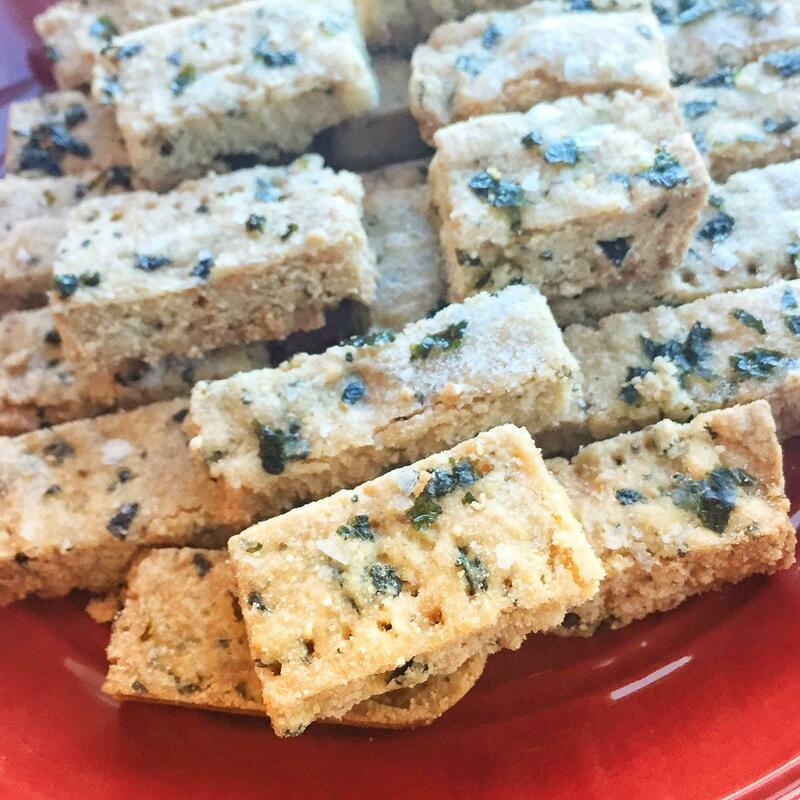 Did you hear about the seaweed shortbread? It's really good! Here's a link to the recipe. 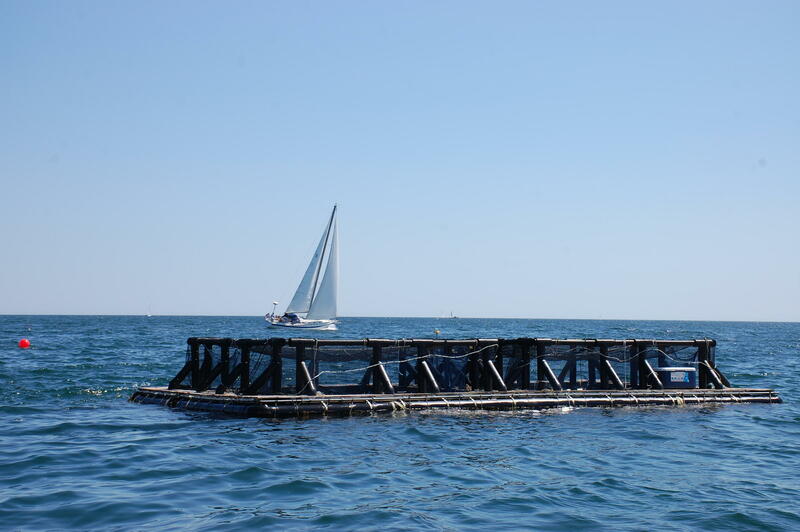 Here's a look at the UNH Integrated multi-trophic aquaculture platform where Michael Chambers farms kelp, steelhead trout, and mussels. Lots of callers had questions about seaweed as a carbon sink. This article notes seaweeds like kelp may sequester more carbon than all other marine plants combined. 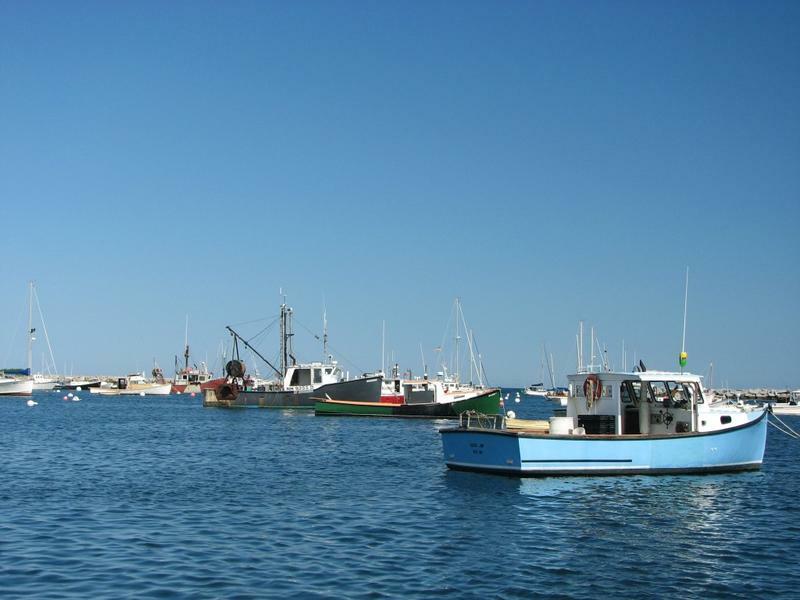 New Hampshire is receiving nearly $1 million in direct federal fishery disaster assistance to help an industry that's been suffering from declining fish populations and stringent federal regulations. In all, the state will receive more than $2 million in funds. The rest of the money is still to be distributed and used at the state's discretion.